From the mid-1800’s to the 1900’s, the early feminists looked to Haudenosaunee (Iroquois) Native American women to learn what true equality between men and women was really like. 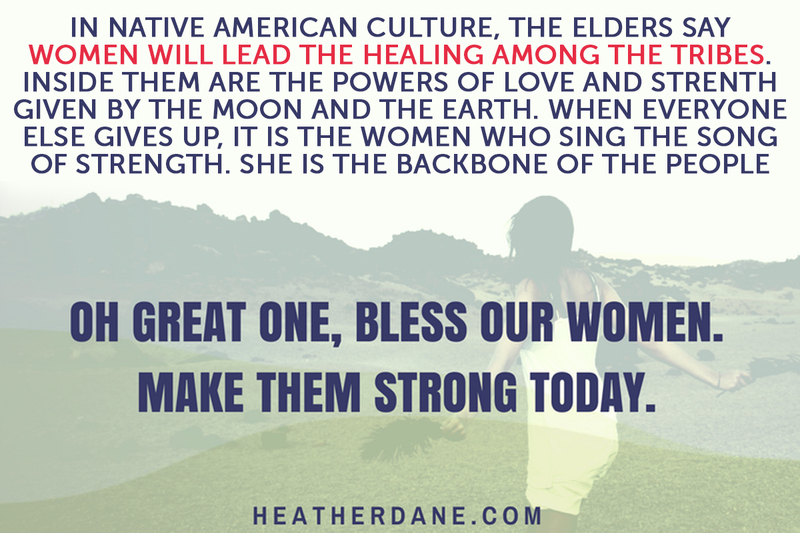 One of the only tribes where women were 100% equal, Haudenosaunee women were leaders of their tribes and families. Heather’s cousin, Michelle Schenandoah, Native American governance strategist, and Katsitsionni Fox, documentary filmmaker, join Heather to discuss what balance and equality once looked like in Haudenosaunee culture, and how all women can reclaim their power. An inspirational writer, speaker and thought leader, Michelle Schenandoah is a member of the Oneida Indian Nation Wolf Clan of the Haudenosaunee Confederacy. Michelle serves as an economic and governance strategist for Native American Nations with Blue Stone Strategy Group. An extensive background in law, business and taxation, she is taking her expertise to create new platforms in media, community development and leadership models for Native American women and their communities. She and her husband, Neal Powless, founded Indigenous Concepts Consulting to incorporate Indigenous perspective into mainstream culture to raise a new consciousness in existing business paradigms. Having worked in New York City as a consultant and business owner, in the fields of project management training and leadership, her clients included multiple Fortune 500 Companies and tribal governance consulting firms. Michelle has also worked in the nonprofit sector raising scholarships and in product development for the American Indian College Fund, and provided capacity building and strategic development for United Nations NGO, Children of the Earth. For over four years, Michelle served as the President of the Board of Directors for the Seven Dancers Coalition, a sanctioned 501(c)(3) by the Department of Justice and the Office on Violence Against Women, focused on ending domestic violence and sexual assault through empowerment in Native American communities. 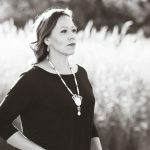 She is a former Board member for the Native American Music Awards that established the Native Music category in the GRAMMYS, and she is a former advisor to the Native American Technology Journey, established by IBM and Clear Communications Group that awarded technology grants to Native American communities. Michelle holds a JD and LL.M. in Taxation from New York Law School and a BA from Cornell University. She lives in her ancestral homelands with her husband and their beautiful children. Katsitsionni Fox’s given name means “She Makes Flowers.” Fox lives in the Mohawk community at Akwesasne, is a practicing artist, curator, filmmaker and educator, whose work draws inspiration from Haudenosaunee culture and history. She considers her talent a gift, and believes that she has a responsibility to share that gift in a good way. Katsitsionni received an Associate in Fine Arts degree in painting and sculpture from the Institute of American Indian Arts in Santa Fe, NM (1989). She received a BA in Studio Arts from SUNY Potsdam (1995) and an MFA in Visual Art from Vermont College at Norwich University in Montpelier, Vermont (2000). It was at Vermont that Fox became fascinated with new mediums such as digital art, film, and installation, which she uses to great effect in her recent work. Fox is currently employed as Director of the Title VII Program at Salmon River Central School in Fort Covington, NY. There she instructs Native Studies, Native Film and Haudenosaunee Arts as well as organizing culturally relevant activities in the district. She has facilitated video workshops for youth, and produces films in her community. Katsitsionni is the director / producer of the award winning film “Ohero:kon: Under the Husk” that has screened at imagineNATIVE, American Indian Film Festival, LA Skins Fest and several others. Fox is an active artist whose work has been included in numerous exhibitions since 1988, including “Artscapes – Contemporary Iroquois Art” Gallery 37, Frankfurt, Germany (2003); “From Iroquois to Haudenosaunee,” Gary Farmer Gallery of Contemporary Art, Santa Fe (2006); “Oh So Iroquois” at the Ottawa Art Gallery, Ontario (2007); “Our Stories Made Visible: Two Mohawk Women Artists, Katsitsionni Fox and Shelley Niro” at the 7th Contemporary Iroquois Art Biennial, Fenimore Art Museum, Cooperstown, NY (2009); and “Changing Hands: Art Without Reservation 3” at the Museum of Art & Design, New York City. We are a fiscally sponsored project of the Seven Dancers Coalition, 501(c)(3), located on the Akwesasne Mohawk Nation in New York. Seven Dancers Coalition focuses on uplifting Indigenous communities by educating and restoring traditional values with the purpose of strengthening self-confidence and dignity. 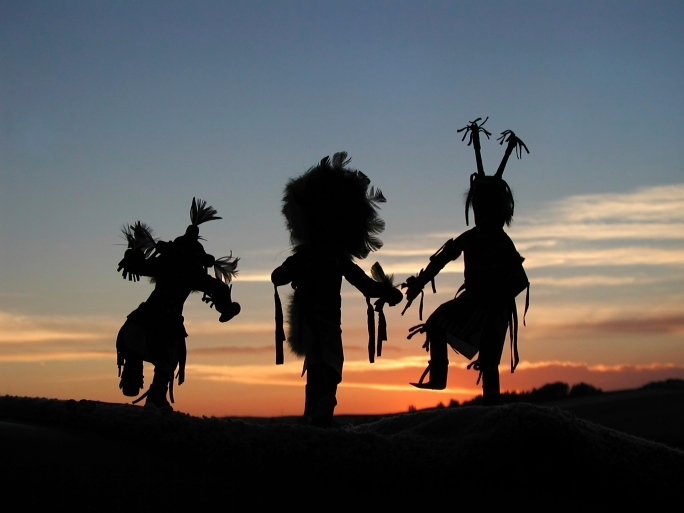 The Coalitions strives for an environment of peace and tranquility to heal all indigenous spirits. Visit Rekindling The Fire of Our Sisterhood Facebook page. Women’s responsibility comes from our creation story. In our creation story, it was a woman (Sky Woman), who came down from the sky world and found that our world was full of water. So she landed on a Turtle’s back, which became the earth. With a worldview where the first person on earth was a woman, it changes the dynamic of how we view things. In sharp contract, the European women settlers had a creation story that started with a man, where the woman was fashioned from his rib, almost as if she were an afterthought. Katsitsionni Fox recently did a film about the history of Haudenosaunee women and how their roles were so different from the colonial women in New York State. The women colonists had no role in government, politics, or society and once married, became property of their husbands. They noticed that their Haudenosaunee women neighbors were leaders, and had a strong role in their families, society, economics, government, and all areas of life. Women owned the property and were caretakers of the land. There was a balance and harmony with men, with each playing important roles. For example, the men would get food and the women would decide how it was distributed. The Haudenosaunee influenced European settlers in many ways. As they interacted with their Haudenosaunee neighbors or read about them in newspaper articles, they began to see interesting aspects of their culture. Many researchers believe that the founding fathers based the U.S. Constitution on the Haudenosaunee Great Law of Peace (Gayanesshagowa). The Great Law of Peace is the oral constitution of the Haudenosaunee Confederacy and known as the oldest democracy and is essentially, guiding principles for all of life. While the Great Law of Peace emphasizes balance and unity among men and women, the U.S. Constitution deliberately leaves out women. The early suffragists fought for the right to vote. As they witnessed the role of women among their Haudenosaunee neighbors, they were influenced by the vast array of rights they saw their neighbors enjoying. Haudenosaunee women were models of liberation for them. The Sullivan-Clinton Expedition of 1779 was an American military campaign during the American Revolution, designed to break the morale of those who sided with the British. The result was terror and destruction of over 40 Haudenosaunee villages. This caused a loss of homes, farmland, crops, power and way of life for Haudenosaunee people. During this low point, Haudenosaunee women were targeted by the government and Christian missionaries to take on the ways of European women, losing their sacred roles, voice and power. After losing their land, culture, and rich way of life in the years that followed, Haudenosaunee women recognize their history, but have had tremendous trauma keeping them from realizing the balance and power of their birthright. Yet there continues to be a resilience passed down among generations that supports their transformation and healing. Within this resilience are themes that all women can recognize as we reclaim our voices and power. Katsitsionni’s film, “Ohero:kon: Under the Husk”, follows two Haudenosaunee (Mohawk) girls on the journey to becoming women. They follow their traditional rights of passage, which is a tremendously empowering experience. One of the key questions they ask themselves is: “Why are we here?” Beyond the film, this rite of passage continues on a yearly basis, with the community supporting their youth during their six month transformative experience. After witnessing over one hundred young people going through this process, Katsitsionni has seen their resilience and growth as they honor their traditions. 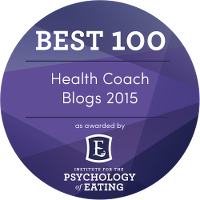 #1 – Ask the Question: Why Am I Here? It’s so easy to get caught up in other people’s rules or ways of living. Asking this question allows you to open to a higher power and listen for the answer. This is not about what we can take from the world, but what we were meant to do here. You came here to do something special and unique. For the Haudenosaunee, Thanksgiving is a way of life. What are you grateful for? Focus on giving thanks for everything around you. There’s plenty of stress in daily life. Notice what happens as you shift your focus to gratitude. It relieves stress, opens your heart, breeds kindness, and can empower you to move forward in life. Research shows that culture heals in a variety of ways. Go back to your ancestral roots. 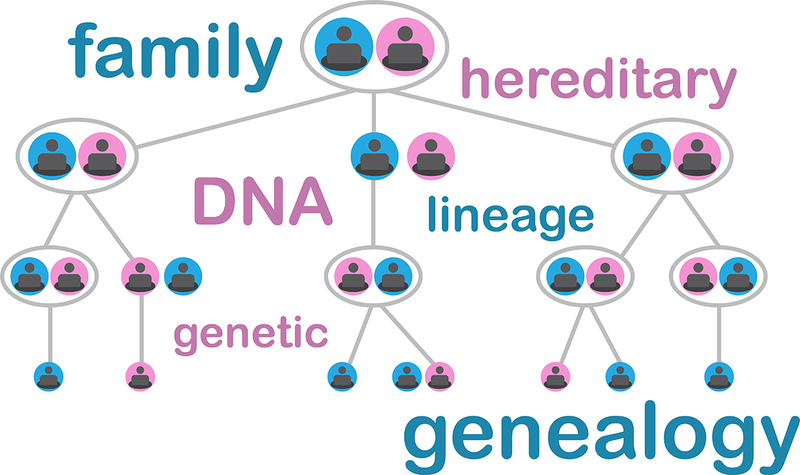 If you have knowledge of your ancestors who lived closest to the land, bring them to mind. Speaking or learning your ancestral language, eating ancestral foods, and participating in rituals and ceremonies valued in your culture can be a big part of healing physically, emotionally and spiritually. Repatriation is about returning a person or thing to its original owner. Rematriation, on the other hand, is the returning of the sacred to the mother. This includes that which nurtures life, like women’s reproductive rights (our gift to give life with a spirit coming through the body) and Mother Earth (that which sustains us and gives us life). Life is about nurturing life-giving qualities and protecting them so they will be here for future generations. Rematriation is not about undoing what has been done to remove women’s sacred rights and role, but to focus on that which brings us back to our sacred role. This removes the fight and instead, focuses on bringing life to the sacred feminine. Nature is healing for all beings and women have a special connection to the life-giving aspects of Mother Earth. Spend time with your feet on the ground, grow a garden, watch the trees and plants. Feel yourself settling into the healing energy of Mother Earth. What can she teach you? How can we support and live in harmony with her? What can her natural ways teach us about ourselves? 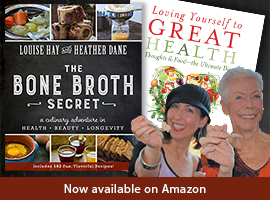 Today, we know that gut health establishes the health of your mind and body. Eating as your ancestors did is a great way to bring good nutrition into your diet and eliminate processed foods, that damage the gut and mind. Consider eliminating processed foods for one to two weeks and making some of your favorite homemade family recipes. Or choose some recipes from your cultural background. Write down how you feel and any symptoms that fall away as you eat these nourishing foods. Chances are, you’ll sleep better, think better and feel better. As this change takes place, it’s much easier to step into your power and follow your heart. We heal when we share our stories and when we gather together in mutual support. For too long, women in all cultures have been divided. 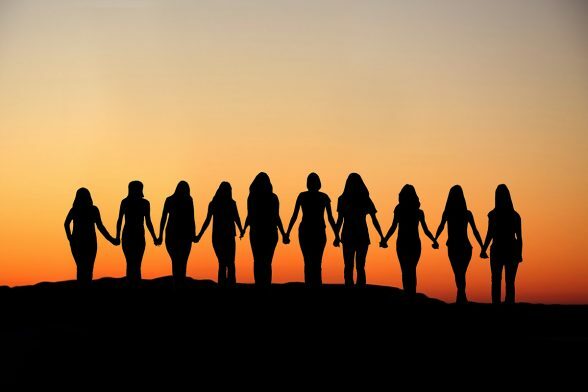 It’s time to reconnect in sisterhood and support each other in stepping into our sacred power. 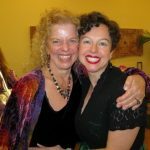 Tune in next week to Loving Yourself to Great Health, Donna Eden and Dondi Dahlin will join me to reveal the top 7 energy drains that we all face daily, along with simple, effective Energy Medicine techniques to have you feeling vibrant again! 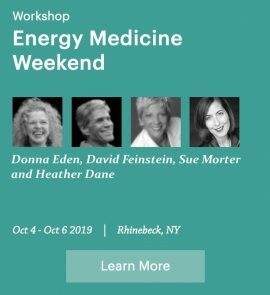 Learn how energy works and how to keep yours flowing with the creator of Eden Energy Medicine.